Caffeine Overdose: Can you think it is harmful to You? 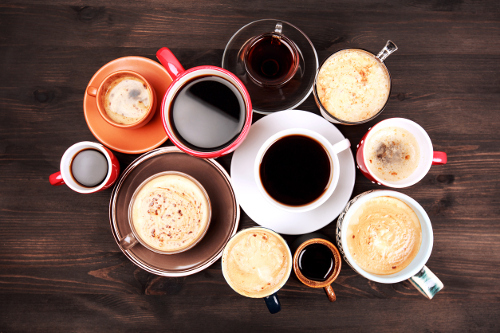 Home » Health » Caffeine Overdose: Can It Happen to You? You may have heard the troubling news about a South Carolina teenager who died from a caffeine overdose last month. And although it is certainly sad that the 16-year-old lost his life, you should not be concerned about caffeine taking your own life. And I’m here to tell you why. For the most part, caffeine is safe. A Mayo Clinic report from earlier this year showed that 400 mg per day—translating to about four cups of coffee—is perfectly safe for most adults. David Allen Cripe, the 16-year-old who died, consumed a very large amount of caffeine in a very short timeframe. It’s been reported that he drank three high-caffeine beverages in under two hours, including a high-caffeine energy drink that he chugged shortly before his death. If my math is correct, the latte from McDonald’s, the large “Mountain Dew” soda, and the energy drink he consumed would likely come in at around 300 mg—not enough for a caffeine overdose, but far too much to consume in a couple of hours. The rapid pace at which these beverages were drunk was what led to the arrhythmia that killed him, not the caffeine itself. So if you’re one of the millions of Americans who consumes an energy drink every day or has a couple of cups of coffee, you probably have nothing to worry about. An eight-ounce coffee has anywhere from 95 g to 165 g of caffeine, and you’re highly unlikely to chug such a hot beverage. Even drinking a single iced coffee quickly is unlikely to cause a caffeine overdose. When Is Caffeine Consumption a Risk Factor? There are certain groups, however, that should monitor caffeine consumption and the speed with which it’s consumed. These populations include people with existing heart conditions and high blood pressure. If you have anxiety, caffeine can also make it temporarily worse. Caffeine—or a caffeine overdose—is unlikely to kill you, but exercising caution is always recommended, especially if you fall into one of these risk categories. This does serve as an opportunity, however, to talk to your children or grandchildren about the potential effects of caffeine. Kids are drinking coffee at much younger ages than in previous years, sodas come in much bigger sizes, and energy drinks are big now and being marketed to teens. It’s important for young people to know that any kind of caffeine should not be consumed quickly and should be used responsibly. “Caffeine content for coffee, tea, soda and more,” Mayo Clinic, April 14, 2017; http://www.mayoclinic.org/healthy-lifestyle/nutrition-and-healthy-eating/in-depth/caffeine/art-20049372, last accessed May 16, 2017. “Coroner says South Carolina teenager died after drinking several high-caffeine drinks” CBC, May 16, 2017; http://www.cbc.ca/news/health/caffeine-coroner-1.4116942, last accessed May 16, 2017.